Drive Medical Extra Firm Innerspring Mattress is designed with inner springs that provide maximum comfort. This high-quality mattress includes a vinyl cover that is anti-bacterial, anti-static, and waterproof. 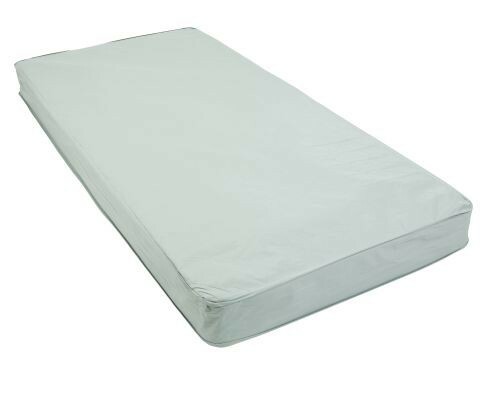 It is constructed of Premium Grade cotton and high-density urethane foam, which gives this mattress its supreme durability and ultimate comfort. It features two brass side vents that are screened to allow the mattress to breath. It has a weight capacity of up to 300 lbs. The 15014 Drive Medical Mattress includes a 1" high-density, firm, combustion-modified fiber topper on each side. The 15006EF Drive Medical Mattress is multi-layered with two 1 inch high-density, firm, combustion-modified fiber topper on the top and one on the bottom. 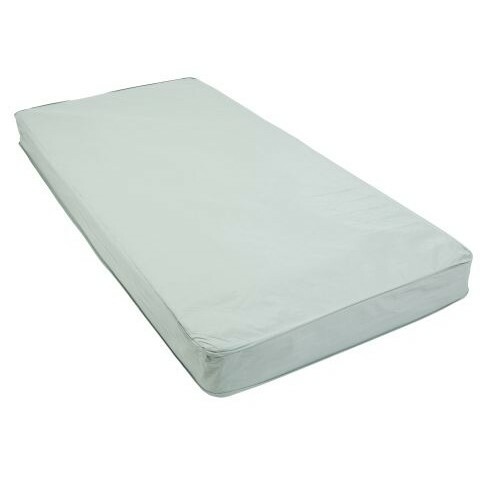 The 15006 Drive Medical Mattress is an inner-spring mattress that measures 80 x 36 inch. Other available Drive Medical mattress include Quick N' Easy Comfort Mattresses and Balanced Air Self Adjusting Convertible Mattress. Does this mattress bend for use with a movable hospital bed? Because the mattress is extra firm with springs it is unable to have enough flexibility for a movable hospital bed.